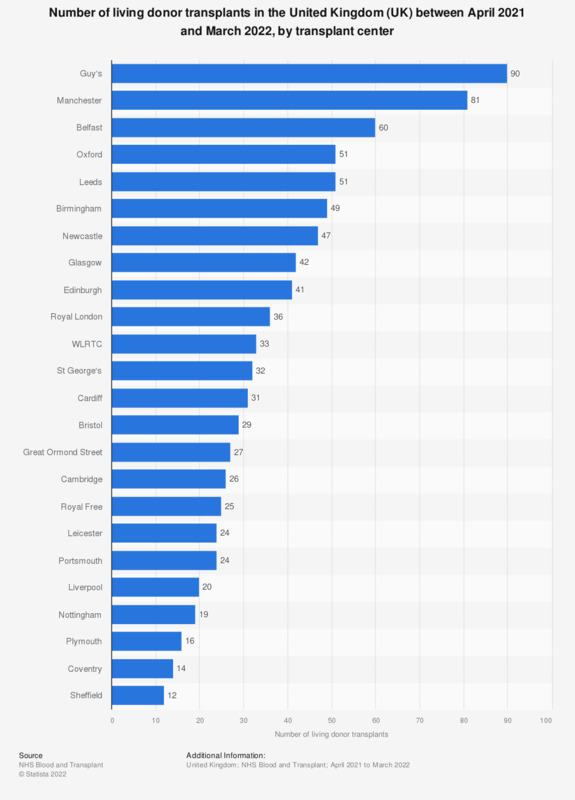 This statistic displays the number of living donor transplants, by transplant center in the United Kingdom (UK) between April 2017 and March 2018. The Manchester centre had the largest number of living donor transplants in this period at 80. Statistics on "Organ donation in the United Kingdom"